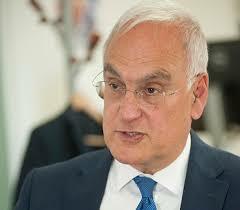 In his final report as Ofsted’s chief inspector, Michael Wilshaw chose to launch again into a polemic about the poor quality of schools in the North of England. The data he used needs more serious analysis. In recent months, Wilshaw has shown considerable integrity in standing up to the Government on a number of issues: the poor quality of apprenticeships, inadequate academies, and grammar schools. He helped sink David Cameron’s proposal to turn all schools into academies, and more recently he condemned Theresa May’s espousal of grammar school selection. However his final swansong as Chief Inspector – a combative attack on teachers across the northern half of England – deserves an Ofsted inadequate. This neoliberal argument turns reality upside down: we have an economy which is failing to make use of young people’s skills. 36% of non-recent graduates and 46% of recent graduates are in non-graduate jobs. Even in London, the figures are 32% and 41%. No wonder many young people are sceptical about university and the debt this entails. Wilshaw’s final speeches were designed to grab media attention, with lots of dramatic soundbites. He even stated that not a single pupil on free school meals from the North East, Yorkshire or Humberside won a place in Oxford or Cambridge! This says more about those elitist universities than northern schools. After all, Ofsted has declared most of the schools Good or Outstanding – and there is certainly no shortage of pupils needing free meals. He was keen to talk about Northern towns where schools are ‘less than good’ – bleak hopeless places such as Knowsley, Blackpool and Oldham. But the Ofsted annual report shows little difference between northern regions and the national average. According to Ofsted, 75% of pupils in the North West, and similarly in Yorkshire and the North East, are attending ‘good or outstanding’ schools. The national average is 81%. Besides, Ofsted categories are themselves unreliable and biased. Inspectors are clearly struggling with schools in poorer areas and children they can’t identify with. 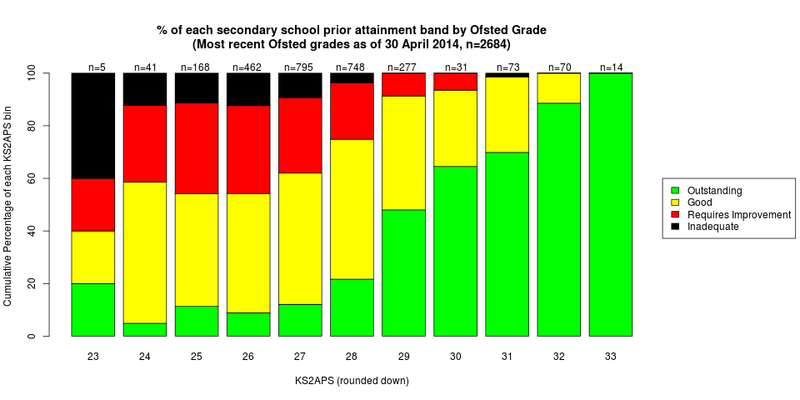 Secondary schools recruiting children with high KS2 scores are usually judged outstanding: those with the lowest prior attainment are highly likely to get low Ofsted grades. Some of these lower-attaining areas merit further study but ultimately the key influences are economic. Most of the areas which Thatcher destroyed are in the North. The closure of coal, steel and shipbuilding has had a profound effect on people’s identities and wellbeing. Families are now being hammered by welfare cuts. This is seriously demotivating for young people in secondary schools. The biggest influences on school achievement are parents’ income, occupation and education. This doesn’t mean it is impossible to succeed if you are poor, but the odds are stacked. This is true in every country, according to a PISA analysis: on average, children with parents in professional or managerial occupations do much better in school than children with parents in routine or semi-routine jobs. Parents’ education is an even stronger factor than occupational level alone. In the UK, children of graduates have the equivalent of 12 months advantage when they start school, and occupational differences add more on top. Teenage reading habits have an important effect, but parental education remains important at age 16. It is significant that 60% of adults living in Inner London are graduates, 45% in Outer London and 40% in the rest of the South East. In the North and Midlands, the figure is around 30%. In the light of these figures, it is arguable that schools in the north and midlands might be performing better than expected. If Michael Wilshaw had stopped to think about the social and economic data, he might have been less ready to launch a blanket attack on schools. This entry was posted in Accountability, Uncategorized and tagged accountability pressures, disadvantage, inspection, Ofsted, PISA, poverty, youth unemployment. Bookmark the permalink.